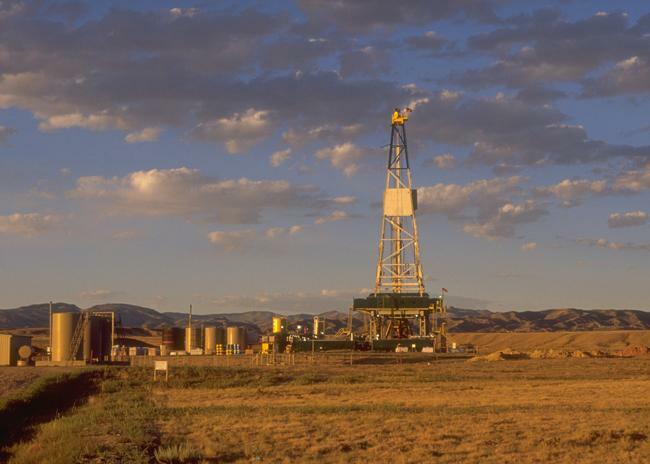 News of a decline might sound surprising since there has been so much excitement and controversy over horizontal hydraulic fracturing, or "fracking," in recent years. 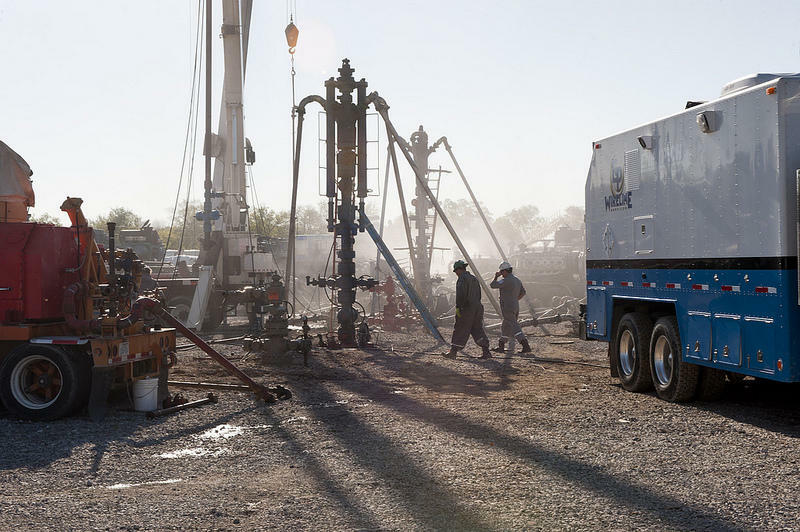 But not many high-volume, horizontal wells were actually drilled since 2010, and the company that led the recent fracking boom has left the state. That leaves the industry and its watchdogs wondering where new action will come from. State lawmakers got an earful today from people who want townships to have the ability to say no to oil and gas companies. A 2011 amendment to the Michigan Zoning Enabling Act specifically bars townships from preventing conventional drilling. 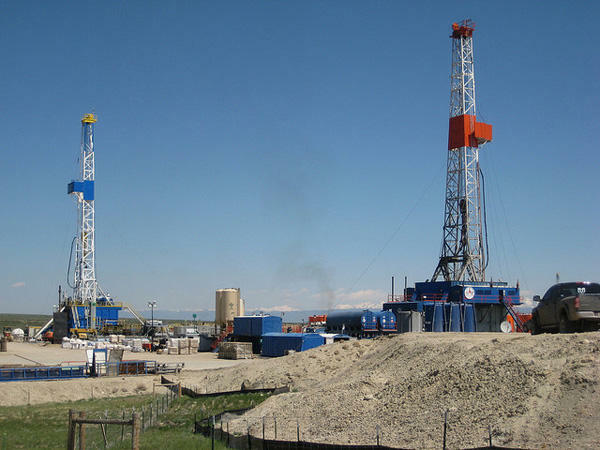 “Fracking” is a drilling method that pushes water and chemicals into wells to force out oil and gas deposits. You might recall that earlier this year Michigan’s attorney general filed charges against two energy giants. Encana Oil and Gas USA and Chesapeake Energy were accused of colluding to lower the price of land leases for oil and gas exploration. Last Friday, a Michigan Cheboygan County District Court judge ruled that Chesapeake Energy Corp must face a criminal trial, citing evidence of a conspiracy between the companies. "The direct and circumstantial evidence established that the parties did in fact strike an agreement to bid-rig the State sale." Part of that evidence could have come from Encana Oil. That company struck a plea deal with the State of Michigan in exchange for its help in Michigan's anti-trust case Chesapeake Energy. Encana also agreed to pay a $5 million fine. If Encana lives up to its end of the bargain, the state will drop other criminal charges at a sentencing hearing in 11 months. Chesapeake Energy is the nation’s second-largest producer of natural gas. The Michigan Court of Appeals says state regulators were correct to deny a drilling permit to developers who want to put oil wells on private land surrounded by a state forest. The developers said the state should either grant the permit, or compensate them for their lost investment. They want to put 11 wells on private property surrounded by the Pigeon River Country State Forest in northern lower Michigan. The state Department of Environmental Quality said the wells were either in designated no-drill zones, or were too close to water. And the decision says since that was clear up front, the developers don’t get a payback from the state. The developers can file a new permit request with plans to use different technology, like directional drilling. They can also take their case to the Michigan Supreme Court. What do the people who run Michigan's towns and cities think about the prospect of high-volume hydraulic fracturing, or "fracking" in or near their communities? A new report from the University of Michigan's Center for Local, State and Urban Policy looks into that question. In Michigan, only a handful of communities report some type of high-volume fracking operation. It's the controversial process used to extract natural gas by drilling into shale deposits. The center’s program director, Tom Ivacko, joined us to talk about the results. *Listen to the interview above. Today lawyers with Michigan’s Attorney General’s office will begin outlining the state’s case against energy giants Chesapeake Energy and Encana Oil & Gas USA. 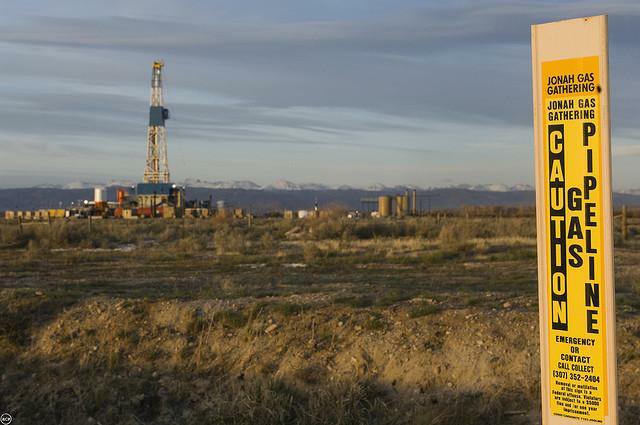 The allegations stem from an auction for drilling leases on state land three years ago. 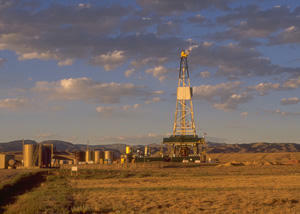 In May 2010 an auction of drilling leases brought in $178 million. That’s almost as much as all the revenue from all of Michigan’s leases of public land from 1929 to now, combined. The state of Michigan alleges energy giants Encana Oil and Gas USA and Chesapeake Energy worked together to get cheaper prices to lease land to drill for oil and gas. Michigan’s attorney general filed charges against the companies earlier this month. Today, the companies were arraigned on conspiracy and anti-trust violations. Last May, oil and gas companies spent hundreds of millions of dollars buying up rights to drill in Michigan. 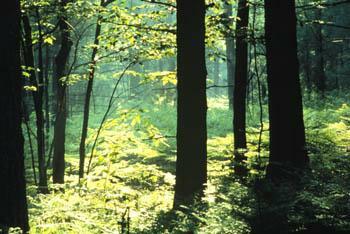 By summer, private landowners in northern Michigan had signed leases promising record payments to drill on their land. But by the end of the year, the frenzy over the new gas play had fizzled. And, as Bob Allen found out, hundreds of people were claiming they’d been cheated. The first person to file suit against the gas companies in Emmet County is Mildred Lutz. A sturdy 92 years old, she still keeps a garden and cans her own vegetables. Last summer, a man knocked on her door and offered to pay her almost a hundred thousand dollars for the oil and gas deep underground beneath her farm. Mildred had just lost her husband of sixty-nine years, Carl. And she thought the money would come in handy for a whole list of expenses, including funeral costs. So after talking it over with her five children, she signed a lease and took the document to the bank in Alanson to be notarized. 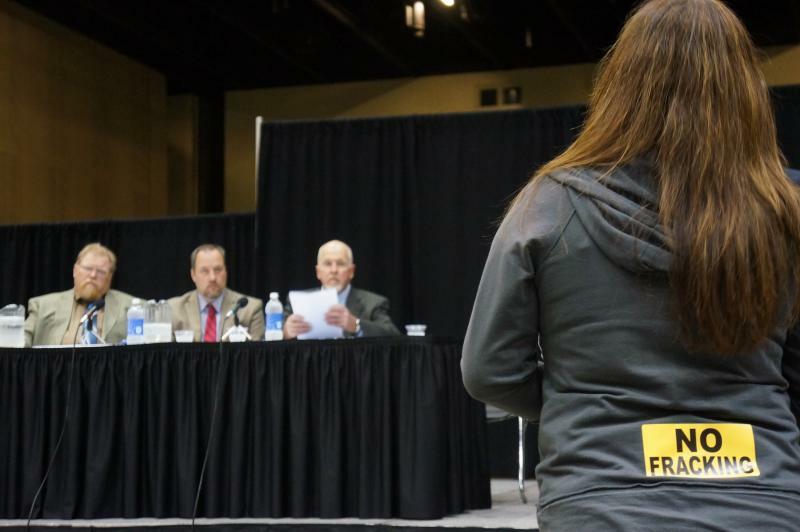 She never heard another word from the oil and gas developers and she never got paid. And how does she feel about that? Attorney Bill Rolinski says he’s heard from a lot of people who ended up in the same boat as Mildred Lutz. Since producing a Michigan Watch series on the "hydraulic fracking" boom in Michigan last September and October on Michigan Radio, not much has been said or done about this method of drilling for natural gas. A leak has now put the issue back in the news. The Associated reports a leak has shut down a drilling operation not too far from Traverse City. It's not yet clear whether it will damage underground water sources. It does raise questions as to whether Michigan regulations are adequate to protect the environment while exploiting the gas reserves in the state.